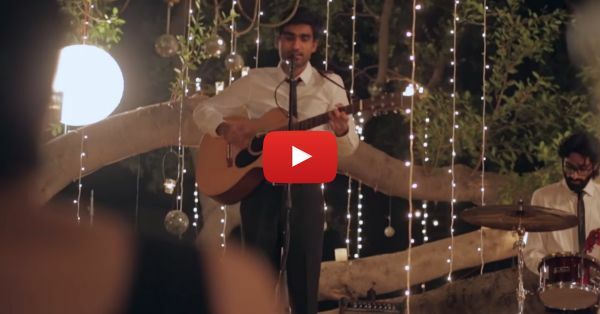 This AMAZING Song Will Make You Fall In Love With Prateek Kuhad! I was dragged to a restaurant by a friend sometime early last year for a gig. And yes, it was Prateek Kuhad playing, but I wasn't familiar with his music before that. It was one of those rare times he played ‘Oh Love’ and somehow I remember it like it was yesterday. I haven't missed a Delhi gig of his since then - I almost even went to Alibaug for one of them. So, yes, I'm pretty confident that when you hear this amazing and absolutely beautiful track by him, you won't be able to stop yourself from falling in love with his music. So go ahead, a new music obsession awaits! You'll thank me for it, I'm certain of that! :) PLUS: Subscribe to POPxo on YouTube for original videos + our favourite videos from around the web! MUST-READ: #Aww: This Beautiful Love Song Will Make Your Heart Skip A Beat MUST-READ: Sanam’s First Original Song Will Make You Love Them More! !